Home MyTopFace Expert Mrs. Rodial’s Dragon’s Blood and Snake Serum is to Die for! Mrs. Rodial’s Dragon’s Blood and Snake Serum is to Die for! Wow, wow and we’re definitely going to add another wow in there, just so we can get the message out there, loud and clear about these ridiculously amazing serums from Rodial! Wow. It’s a truly amazing experience, when you try out a product for the first time, and your mind is just blown! A product that you’ve read so much about, and seen so much media coverage about (aka Kim Kardashian and Kylie Jenner are HUGE fans of Rodial) and then you put that product on your face for the very first time, and suddenly, it’s like a light opens up above your head and all you can say is – wow! Seriously, we are so blown away with the UNBELIEVABLE results and absolute care and life that the Rodial products we got to try out, have done for our skin that we are TOTALLY adding another WoW in here! Ok, but on a more serious note, if you’re looking, searching, and in absolute desperate need of a serum that is truly and most definitely going to work magic on your skin, we could pretty much vouch our lives on the Rodial Dragon’s Blood XXL Sculpting Serum and the Rodial Snake Serum O2! Maria Hatzistefanis aka Mrs. Rodial, is by far one of the most innovative and progressive beauty care developers of the 21st century. We know we might sound a little bit like love sick puppies right now, but we promise you, the moment you get to use a Rodial serum for the first time, you’ll feel exactly the same! So let’s dive right into the two wickedly awesome serums from Rodial that we got to try out, and tell you how truly fabulous they are! Rodial has beautifully and appropriately named this Dragon’s Blood Advanced XXL Sculpting Serum, it plumps out of its gorgeous hit pink bottle onto your fingers with a silky and red color, leaving you to wonder at first, “What is this that I’m about to put on my face! ?” Well, darlings, let me tell you, that the minute this pinky, orangey dragon’s blood touches the skin on your face, you’ll pretty much instantly feel the youthful bounce come back to life! 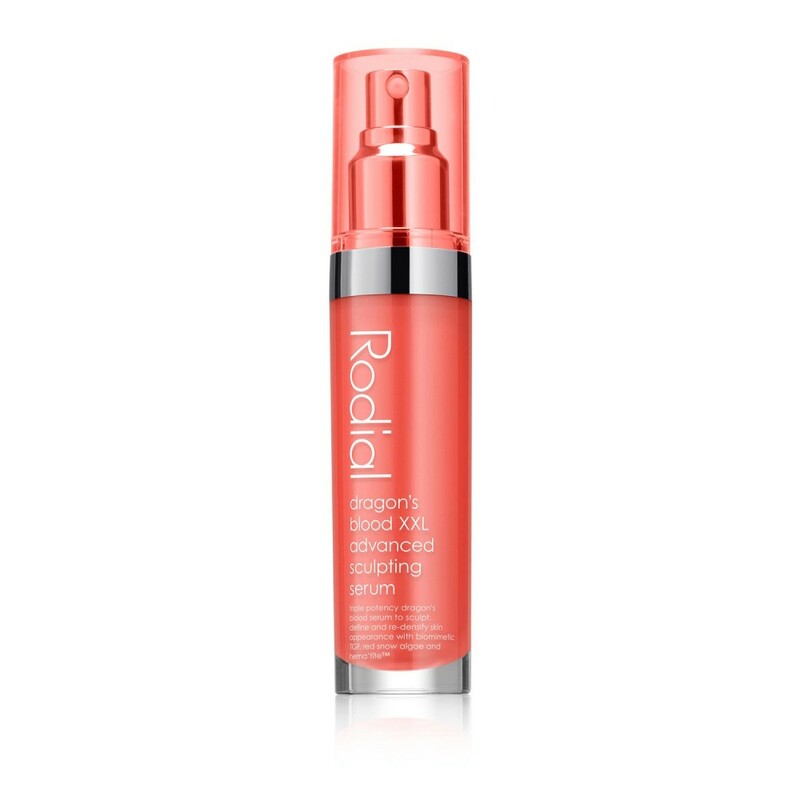 Rodial recommends this serum for any and all skin types, even sensitive skin, and we must admit, it truly and honestly did wonders to our skin, within literally two days we could see and feel the firmness and the moisture coming back into our skin – almost like we’d been using some kind of magic potion made of Dragon’s Blood!? If we were completely forced to choose between these two serums, we’re thinking that this Snake Serum O2 would be our pick, not only because it has done absolute wonders for our skin, but the gorgeously lush scent that this Snake Serum O2 has is just beyond incredible! The unique syn®-ake dipeptide which is used in this Snake Serum from Rodial is basically like a wrinkle freezing ingredient which is meant to mimic the very same effects that the Temple Viper Venom has, by smoothing out the skin and pretty much (in days) drastically, reducing the appearance of lines and wrinkles from your face. We were so blown away by the amazing results this serum had on our skin, we could feel and see the firming of our skin coming back and the boost in our complexions glow was just phenomenal! 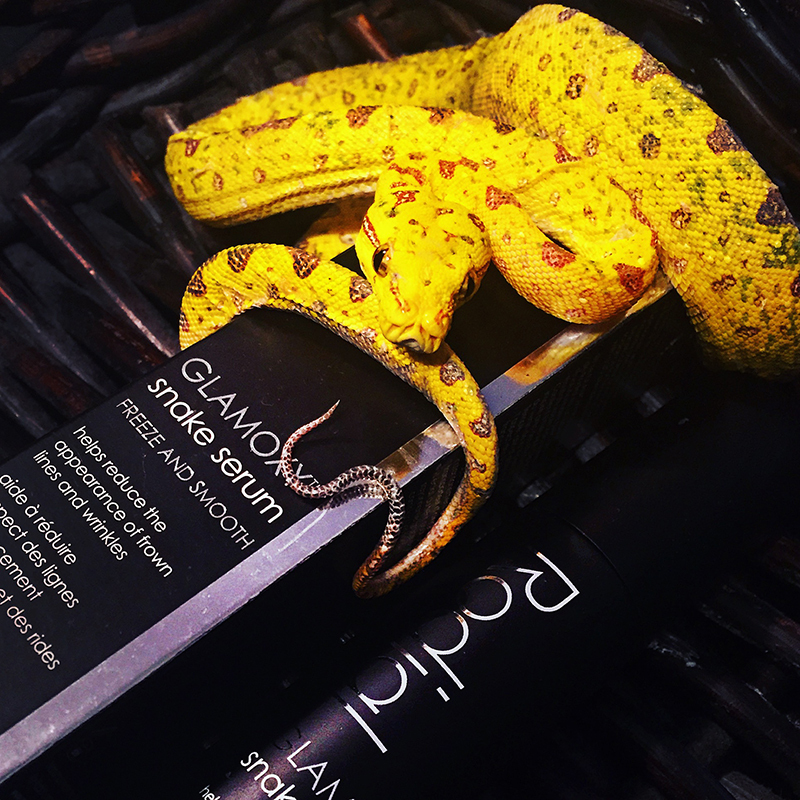 The formula in this Snake Serum is also perfectly blended help detoxify and purify your skin, which will also protect your skin from free radicals and pollution! 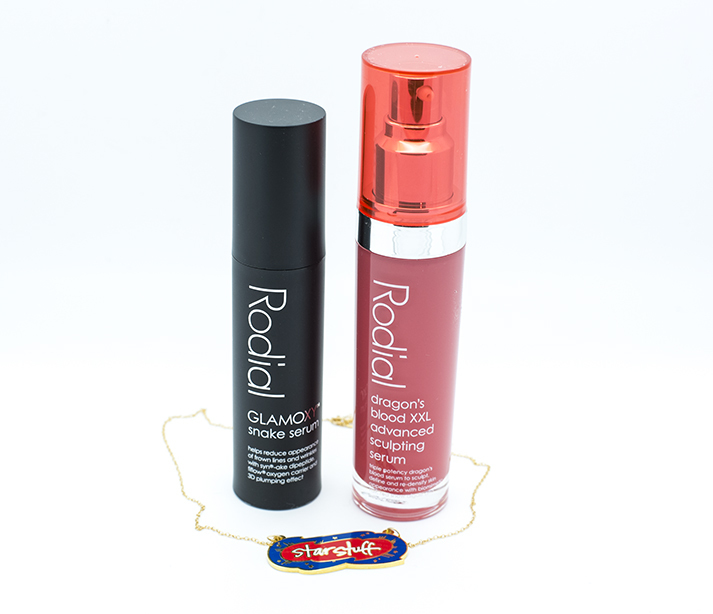 We take our hats off to Mrs. Rodial, these skin care products from her range are stupendously AMAZING and if you do one thing in your life – it should be to try out these beautifully effective and luscious serums from Rodial. Special thanks to Rainbobo for providing us with stylish Star Stuff pedant.